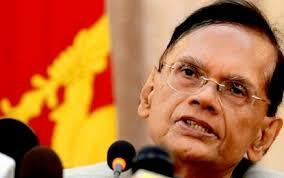 Former Foreign Minister G. L Peiris said that he was suspended from the Sri Lanka freedom Party (SLFP) today. SLFP is alleged to have taken the decision after Peiris was appointed as the Chairman of the new party Sri Lanka Podu Jana Peramuna recently. The former foreign minister said the decision taken by the party was legally accurate. “This situation is similar to when President Maithripala Sirisena was suspended from the party when he was nominated as a common candidate for the last Presidential Election,” Peiris said adding that "however the suspension was revoked after he became the President".